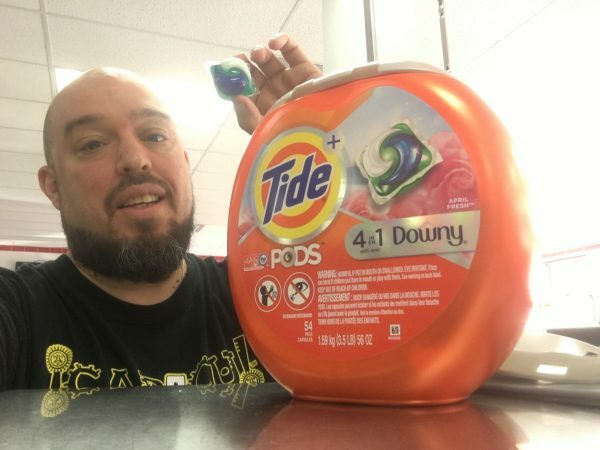 Laundry Day: Discovering Tide® PODS™ + Downy®. This is a sponsored post on behalf of Tide® PODS™ + Downy®, however all opinions are my own. Downsizing… has been a thing in my life as of lately. After 20+ years of living in the suburbs, I have moved back to Brooklyn (and city life) trading a house with a driveway for an apartment in Brooklyn where I hunt like a savage daily for a parking spot within 4 blocks of where I live. As a result, I have had to purge lots of personal items, computer equipment, books and lots of clothes. I literally now live in a space just bigger than one of our closets in the old house. The concessions do not end there, for my perfect apartment I had to forgo the laundry room… one of the best amenities of living in a house. I used to wash clothes almost daily. Now I have to carry a HUGE bag of clothes to the local Laundromat every few weeks because honestly who does laundry every week in the city? So if I am carrying this huge bag… I really do not have the capacity to carry the two big “galones” of Tide® & Downy® that I used to buy because it was cost effective. I am used to buying the bigger bottles to save money. I say all of this to say… because I left my products at home, I discovered Tide® PODS™ + Downy® and now all is right in the world. I get to use the laundry products I already love in a very convenient, single-use packet. Best of all, I get the same fresh feeling I got before not to mention I am probably saving money because I am sure I used way more product that I probably should have during each wash. This gives me all the feels. 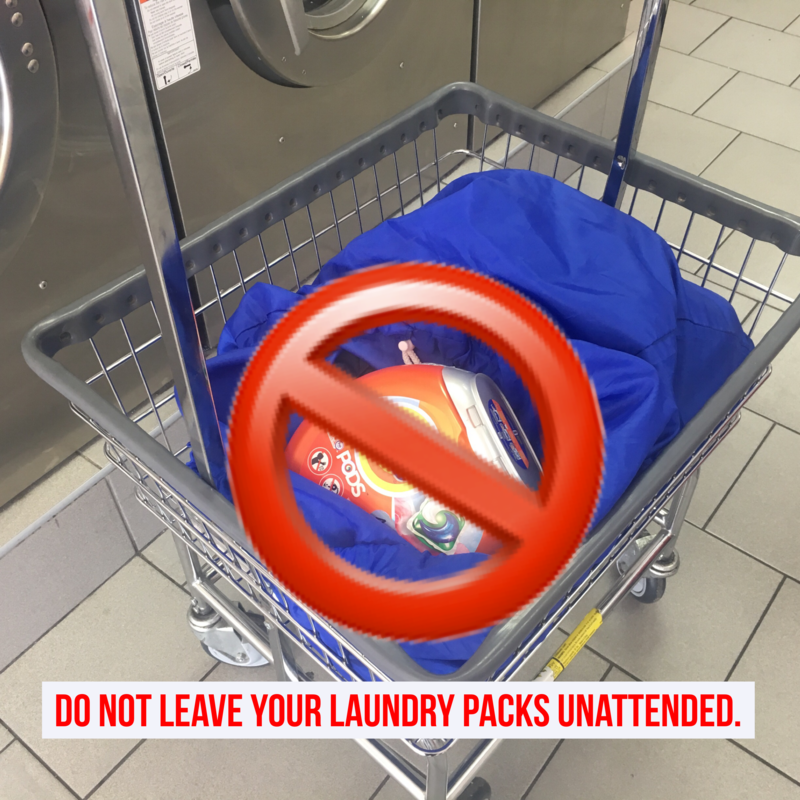 Now, when using laundry packets, there are a few things to consider when it comes for safety. If you own a home or have an apartment with a laundry room, there are things you must do to protect your kids from handling packets (or any other household products). If your children are old enough to understand, explain to them that your laundry packets are. Always store on a shelf or a closet above the level of your washer. Make sure they are out of reach. Always store them in the original packaging and make sure it is closed using the safety features. Tide® PODS™ + Downy® packets dissolve in both hot and cold water. Always place the packets in the machine before your clothes. They work in both high-efficiency and regular washers. Bonus tip: If you are using a public laundry room or local laundromat like me, be sure to follow the same safety guidelines as there may be children in the general area that you are washing in. It is best to be extra vigilant when in this setting. For much more detailed info on safety, please visit the Tide website to keep your home and loved ones safe.